I hope you know that there is a referendum (voting) in Greece this Sunday 5th of July 2015, on whether they want to remain in Euro or exit. If the country rejects the bailout then Greece becomes a defaulter and may have to exit the Euro. If accepts then it gets more into debt. Both are bad for their economy. However we cannot control Greece or whatever is happening there. What we can control is our trades. So lets wait for the outcome and take our trades. People who have taken my course: I suggest keep some money for the directional trade of my course. If you do not have the cash no need to trade – we can wait for another opportunity. BUT PLEASE DO NO ADD any cash to your trading account just because I am saying this. There will be a lot of opportunities in future – you can wait for them – but please do not add any money. If you have spare cash left ONLY THEN go ahead and trade. Remember in the directional trade we need a movement fast any direction – and I am quite sure after the news there will be some movement. Eventually if movement comes, we can exit in profits in a few days and if not, be ready to exit with a small loss because our original plan is that this will be a quick and fast positional trade. Stick to the plan. Since the returns in this trade is in the double digits I request you to keep the trade size small. Remember that Nifty may not move. So maximum you can stay is till this Friday, 10th of July 2015. 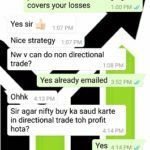 Even if Nifty does not move you can exit with a small profit or loss – if your Future direction is correct you should be in profit – and depending on the VIX you can be in profit even if you were wrong in your Future trade. Let luck play a small part in our trade – but we will make sure the trade is properly hedged so we are safe. Here we cannot let luck take over us. Another trade that can be taken is the Long Strangle. However there is some risk here as both the call and the put options can lose money but since you are exiting in 5 days, not much should be lost. However if there is sudden rally, this trade will produce a fast profit very quickly. Note for traders who have taken my course and are already in Strategy 1: You can take the Long Strangle if you do not have cash to trade the directional trade. Since not much money is required you can trade this in less number of lots. Take you profits out at reasonable level. Do not wait till expiry. If the trade plan is to stay for the short term, then stay for the short term. Again, stick to the plan. Hope these emails and articles are helping you. I thought just telling you the strategies are not enough, so I have started writing about the kind of trades that you can trade whenever a situation arrives. If you are not my email subscriber please do subscribe. Lets make this a profitable journey for all of us. If you have any other idea please tell us in the comments section. Lets help each other. Greece referendum results of not accepting creditors loan and a possible exit from the Euro zone has not effected Nifty and it looks like investors have ignored the Grexit news. Nifty has not moved much. As traders we should accept the situation and wait for our exit plan. Those who are in the long strangle should exit the trade by 3.15 pm, Friday 10-July-2015, at any cost. Weekends will eat more premium so we cannot leave that open in the hope something will happen in the weekend. Just stick to the trade plan and cut short the losses. On the other hand we still have time till Friday. I will update this on Friday. In between if you make a profit please exit the trade. That is the reason why I like the non-directional trade. It brings profit almost every month. Only if there is a fast and strong trend one side it loses a small limited money. And you feel very safe with it. Please not that a trade may not be perfect – but the plan and the execution should be perfect. It is just 5 days since we initiated this trade. Nifty has fallen almost 2% today and VIX increased by 9.07% and closed at 17.79. Since VIX increased it should make the directional as well as the long strangle profitable. We can book profits today in the directional trade of my course or the long strangle whichever you had taken. 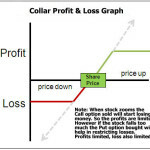 For full update please read this article – book your profits. Disclaimer: I am trying to help you to trade better. Still stock market investments are subject to market risks. Please do your own research before taking a trade. Thanks Gautam. Just telling the strategies was not enough, so I thought let me tell my visitors what exactly to trade and when. Those who follow and are smart will surly make money. Glad you liked. Thanks for this wonderful article. Since we are almost 4 weeks away from expiry date, I am planning to try the long strangle tomorrow and planning to hold it for 3-4 days. That’s the correct way to do a Long Strangle. There is a news and Nifty may move. The only need is to figure out is when to exit whether its a profit or a loss. Since this cannot be defined and cannot be same for everyone you need to figure out what works best for you. Why this cannot be defined is because it depends a lot on the trader – how much time they can watch the markets, how much patient they are with their trades, how much risk are they willing to take, brokerage etc. Since all these things are different for everyone, when to exit cannot be defined and fixed for everyone. Tip: If you can watch markets frequently 10-20 points is what you should look at. If you have more patience and are looking for big profits (and big losses as well), 40-50 points is what you should look at. Typically stop loss should be half of that. But if you are seeing that you are 70% of the times hitting your target – you can keep stop-loss levels same as the profit levels. The idea is to study your own trades. Hope that helps Deepak. And all the best for the trade.